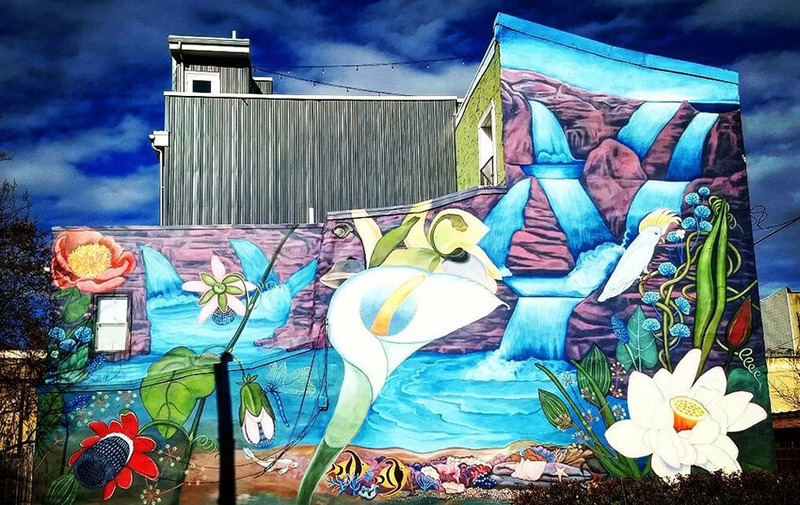 Take a self-guided tour of some of Philadelphia's 4,000 murals. Philadelphia is known as the "Mural Capital of the World." Photo by Robin Bloom for PHLCVB. Ben Franklin said, “A penny saved is two pence clear.” Take a look at these options that can help you save some pennies. Start off at Independence Visitor Center, 6th and Market streets, in the heart of Philadelphia’s historic mile, at the official welcome center of the region and gateway to Independence National Historical Park and the exclusive location to pick up free timed tickets to tour Independence Hall. Multilingual visitor services representatives are available to assist with any trip-planning needs, including on-site ticketing for more than 100 tours and attractions. Stop in for other FREE amenities, including regional maps and brochures, historical films, cell phone charging stations and WiFi access. Open daily, 8:30 a.m. – 6 p.m. Independence Hall – the building where the Declaration of Independence and U.S. Constitution were debated and adopted. Congress Hall – where George Washington was inaugurated as the first President of the United States. Liberty Bell – the symbol of our historic past, on display in the Liberty Bell Center. Tickets are not required and access is granted 9 a.m. to 5 p.m. every day. Entrance is on a first-come, first-serve basis. President’s House – Site of the nation’s first White House from 1790 to 1800. See the “Freedom and Slavery in the Making of a New Nation” exhibit. Christ Church – where the founding fathers worshipped. Fireman’s Hall – a unique museum of firefighting and fire-safety tips, and more. Philadelphia is the birthplace of the first volunteer fire company, created in 1736 by Benjamin Franklin. The first floor of the National Museum of American Jewish History can be browsed for free, which features the “Only in America” gallery — an exhibit that illustrates the choices, challenges and opportunities 18 Jewish Americans encountered on their path to remarkable achievement. United States Mint – Experience making money at the source with a free, self-guided tour including a view of coining operations from 40 feet above the factory floor. Reservations are not required for this 45-minute tour, available to the public Monday through Friday. 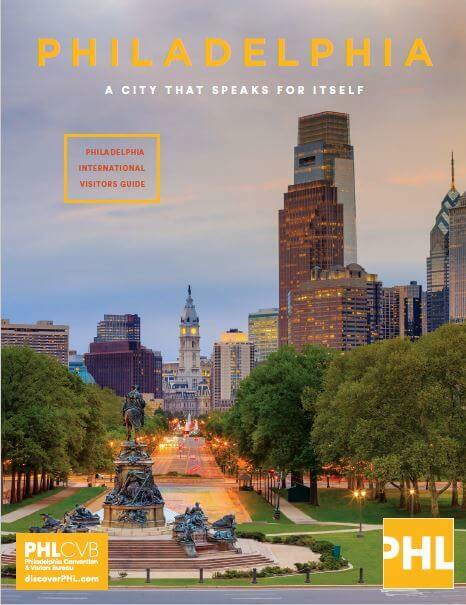 Visit Philadelphia’s picturesque squares including Rittenhouse Square, Washington Square, Franklin Square and Logan Square. Head to LOVE Park for one of Philadelphia’s favorite selfie spots with the LOVE statue. Bike or hike in Fairmount Park, with over 270 miles of recreational trails. Bartram’s Garden, America’s first botanical garden, spans over 45 acres along the Schuylkill River. Relax at Spruce Street Harbor Park, situated atop several floating barges, features hammocks and lounge chairs, LED lights on the Delaware River Waterfront. Schuylkill River Banks and Boardwalk features a 2,000-foot-long pathway for walking, running or bicycling along the Schuylkill River. Spend your evening strolling along South Street, between 10th and Front streets, a district of eclectic and bohemian culture, with nearly 150 stores, boutiques and galleries, as well as numerous bars and restaurants. Swing on a bench and walk the paths of the Rail Park, unused rail lines that have been transformed into a beautiful public space. 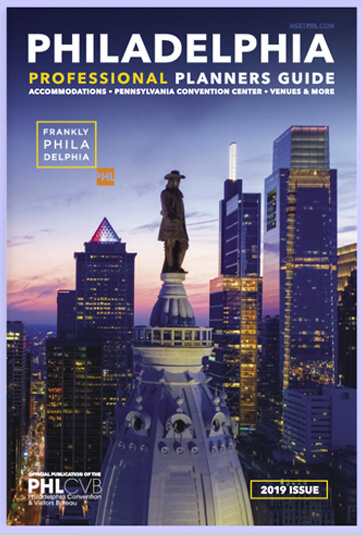 Enjoy self-guided tours of Philadelphia’s exceptional collection of public art with Mural Arts Philadelphia and the Association for Public Art. The Kimmel Center for Performing Arts offers Free at the Kimmel indoor and outdoor concerts and workshops. The renowned Curtis Institute of Music conservatory offers free admission to their student recital series. Follow in the steps of Rocky Balboa with a morning jog up the Rocky Steps to the Philadelphia Museum of Art – and don’t forget to take your photo with Rocky’s statue once you’ve cooled down. The museum has a “pay what you wish” offer on the first Sunday of every month and every Wednesday from 5 to 8:45 p.m. The Barnes Foundation offers free admission on the first Sunday of the month. Visit the Fabric Workshop & Museum, a free, contemporary art museum featuring work in fabrics and other materials. Explore University of Pennsylvania’s Institute of Contemporary Art (ICA), which has developed an international reputation as a preeminent venue for contemporary art and culture. The Galleries at Moore College of Art and Design feature the work of significant regional, national and international artists with distinctive exhibitions and educational programs, open to the public, free of charge. Catch a First Friday in Old City – on the first Friday of each month, year-round, the galleries, studios, shops and restaurants in Old City open their doors for exhibition of the neighborhood’s vibrant arts scene. The Science History Institute holds an outstanding collection of chemistry-related objects, artwork, photographs, and books, illustrating the impact chemistry and chemistry engineering have had on the modern world. 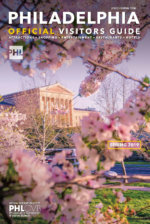 Pennsylvania Hospital, the nation’s first hospital, founded in 1751 by Benjamin Franklin and Dr. Thomas Bond, offers tours of the historic Pine Building with stops at a 13,000 volume library (home to a preserved seven-pound tumor!) and the oldest surgical amphitheater in the country. Pennsylvania Hospital is part of the University of Pennsylvania, whose medical school was the first in the U.S.
Benjamin Franklin Memorial at The Franklin Institute is the official national memorial to the Founding Father. The 20-foot high marble statue of the famous Philadelphia scientist, statesman, inventor and printer sits in the rotunda, modeled after the Pantheon in Rome. The floors, walls, columns, pilasters, and cornices are made of rare marbles from Portugal, Italy, and France. The Memorial is always open to the public when the museum is open and no admission fee is required. Be sure to check out Benjamin Franklin Forever, a 3.5-minute multimedia show detailing Franklin’s profound impact on the world.